On a rainy Sydney morning, this ad stood out to me for its encouragement to DIStrust those closest to us. While I may not like this private eye’s exhortation to us all to snoop on our partners, I do think there’s a message of value in this bus advertisement for us all. Or at least for those of us who work in communication. And for leaders. ...and I’m sure a whole lot of other things we really don’t want to go into! So what’s the link to internal communication and leadership behaviours? We all know, as professional communicators or leaders, that our behaviour or the behaviour of the senior executives we work with is more powerful in the workplace than the messages we send through written communication. So if our words suggest one thing, but senior management behaviour says another, what are we to believe? Of course what we believe is what we see or observe in terms of behaviour. It’s certainly not what was written or said. Actions really do speak louder than words. Especially when your partner stays out all night or your manager espouses the value of employee engagement but never says thank-you. In talking to two colleagues recently I heard two sides of this “behaviour speaks louder than words’ idea at work. A CEO friend talked to me recently about how their behaviour, not their words, is watched so closely that colleagues can pick up unintended messages – and the impact that can have at work. Things they didn’t ever intend to convey can be read into their actions. Now this is, among CEO’s, a very self-aware and capable leader. If this person is sending unintended messages then who among us isn’t, I asked myself? Another colleague shared recently how their CEO appears internally. I have great regard for this CEO as a courageous and able leader in their field. The view from inside, at least in this person’s eyes, was different. What they see is someone who doesn’t trust their people, doesn’t effectively encourage them or share the vision and strategy well and who appears irritable, perhaps even impatient when in front of the whole organisation. Excusing the appalling grammar, the message is clear. Is your manager doing something that belies the overt values of the organisation, takes away from the strategy, or just doesn’t “sit right” with you or others around you? And if they are, they may actually welcome feedback, delivered appropriately, that “calls it out”. It would be nice to think that in an open and transparent workplace, it’s okay to be able to call someone on their behaviour if it really doesn’t match the rhetoric. And if you can’t maybe your friendly internal communication or HR leader can. Or perhaps a more senior executive or Board member/Chairman. And really, it should work that way in our relationships as well. 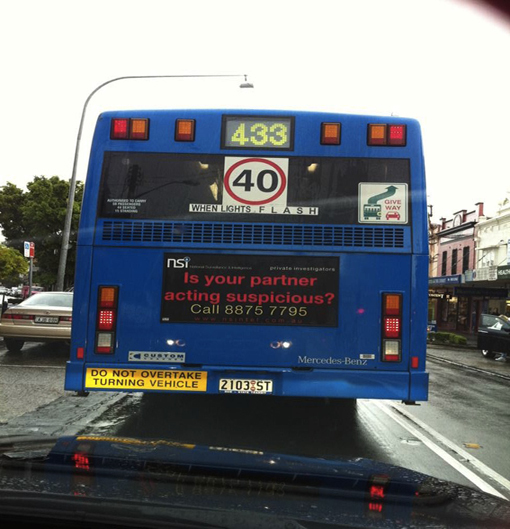 Surely if we have doubts about our partner, we can just talk about it, not have to call the PI in. Enlightening. I have sent it onto Clare.